Special Offer. Buy 6 Bottles for £60.00 each. Save £30.00 !! This is a free-spirited wine. The glistening, billowing folds of its golden cloak transport us through space and time, both of which seem to be extended by this wine’s complexity. Losing none of its character with the passing years, it leads you on a subtle sensory journey. Delicate and exotic notes recreate the warmth of the sun’s playful rays, interwoven with the caress of a sea breeze which dances along a faraway beach. As succulent peach and greengage, entwined with floral notes of cherry and hawthorn blossom, create a sensation of lightness, elegance and freedom. A velvety softness - as if brushing against a rose petal - envelops the mouth. 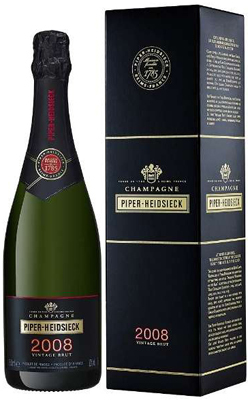 Then a delicately sensual and ripe freshness sweeps across your palate, demonstrating this champagne’s liberated character. And to complete this idyllic sensation comes a saltiness accentuated by notes of peppery spices and plums.